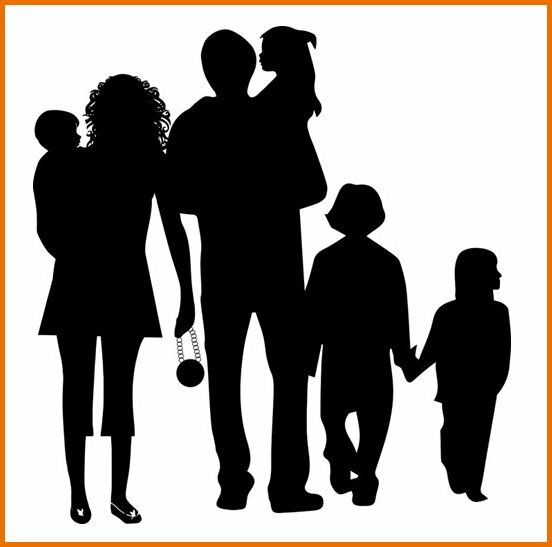 How trust could be developed among the members of the family through a family council? 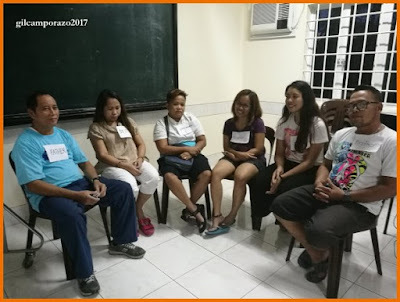 A group of students in the Institute of Religion of La Carlota First Branch handled by this author has come up with practical ways to develop trust among themselves in a family. This is an application of their doctrinal lesson in The Book of Mormon as found in 2 Nephi 4:15–35 considered as Nephi's Psalm. They have learned that trusting in the Lord gives them the reason to rejoice. 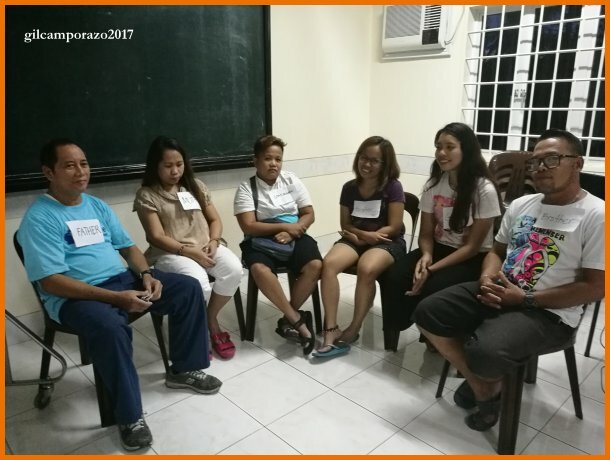 In a family council through role playing, a father, a mother, a brother, a daughter, granddaughter, and a grandmother discussed among themselves the actual situations that transpired in their respective family. And unanimously they agreed that trust in the Lord could be demonstrated in 5 possible ways. Through an acrostic of TRUST, they've decided on what to do as a member in particular and as a family in general. For them, T stands for time or talk. A trust is developed and strengthen when they evaluate it among themselves in a family home evening. R refers to respect. It is being nurtured when everyone is showing respect and due consideration as to their weaknesses. Next is U for unity. When they've talked it over and checked among themselves their inadequacy, they develop the strength and determination to keep that trust among themselves for they're united. Service is for S. It is in serving that they show how trustworthy they are and on how they fulfill such responsibility among themselves. In so doing, they enjoy of being together which stands for T to reap the happiness as trust is developed among themselves. The following is an amateur video in Ilonggo, their vernacular dialect. The last one is Togetherness. Another way I've found how to develop trust is to have good character and lead by example. Communication is also key. You're correct. A good character begets respect and a good reputation. Everything srarts at home especially the development of one's character. It's always the mother who's the first teacher. 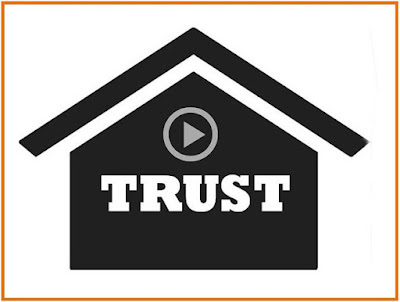 That's a very nice way to abbreviate TRUST! Indeed Talking and respecting are very basics for trust someone! It's true. Communication facilities all that and setting an example. It's not easy to build the trust and could be broken with just one lie.. Probably, but living with through example it could be done. Yeah, very true and agree with u very much.. ain't bad things always trying to trust someone anyway.. This is very useful ways on how develop TRUST. It's very important that we start learning it at a young age and in our own home. Having good communications at home between all members is one of the important foundation of trust. Good job Sir and to your students. Thanks. They do deserve to be appreciated too for a job well done. This is helpful. Trust indeed should always be worked out by simply taking time to hear and talk to the persons involved. Constant communication would make everything easy and understood and by living with it. I like what the group came up with the acronym TRUST. Trust is very important in the family to remain happy together. I do agree with you. When there's trust among the members of the family everyone is happy and there's harmony in the family. Witty to make TRUST into an acronym of its component virtues. Talk is really first. No communication, no trust. I like your statement, "No communication, no trust". To make it sounds parallel, "No talk, No trust." Trust is really important among family members. I really like the meaning you put in every letter of the word TRUST. I'm sure your audience easily understood the message you were trying to convey. Good job Sir! Thank you for that. They'd responded well. Indeed trust is important. Without trust, maglolokohan lang. For me who has an OFW husband, trust is essential in our relationship. And I agree, thru Time, respect, unity, service and togetherness, we can keep this family in tact even 5k miles apart. Trust nurtures love, making one's relationship binding and lasting. Trust is really important for me not just with family but also with friends, co-workers and with partner. That's true. It's for everybody. Animals do have instinct, prompting them that they do have "trust" among themselves. Those are good pointers in any relationship. I like that they used the word TRUST as an acronym for the 5 ways too. That's really binding, making relationship last for good. Wonderful presentation. now I have another thing that I can add to my student's activities. I will linked trust to my lesson next week. Thanks for sharing this as this may also help us both husband and wife. Definitely will talk about this to hubby. That's good. I've at least given you a hint on what to supplement your lesson. Very wonderful and inspiring presentation! Trust is really important for me, not just with family, colleagues, friends, officemate, and also to our dear lord. Keep up the good work!